The excerpt below is taken from the Introduction to “Crumbling Public Foundations: Privatization and UMass Boston’s Financial Crisis,” a report by the Coalition to Save UMB, a coalition of students, staff, and faculty at the University of Massachusetts Boston. The report was released in August 2017 and was authored by Anneta Argyres, Janelle Quarles, Joseph G. Ramsey, Warren Hinkle IV, Katherine O’Donnell, and Zac Bears. Text relevant to this blog post has been bolded for the reader’s reference. Since early 2016, UMass Boston (UMB) employees and students have heard about a growing budget crisis. We’ve heard various stories and explanations, ranging from ‘there is no crisis; this is planned deficit spending,’ to ‘UMB must learn to make do with much less,’ to the more recent cries of ‘another public institution being wildly mismanaged.’ So we set out to determine whether there is a budget crisis at UMB, and if there is, what are its causes. This isn’t of interest to us merely as an area of academic inquiry. 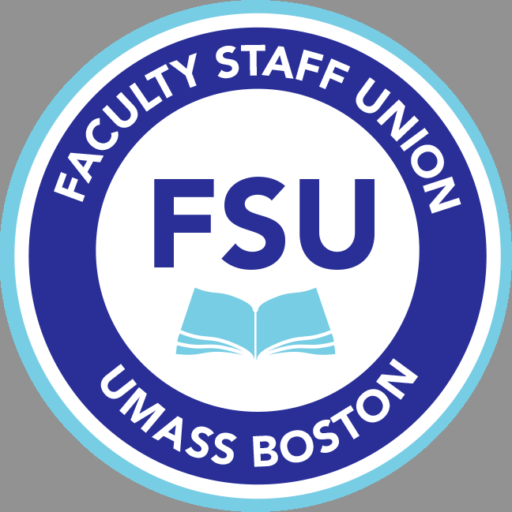 This is of interest to us because we are stakeholders in public higher education and in UMass Boston—we are faculty and staff employees, graduate students and student employees, alumni, undergraduate students, and parents of past, current and future students. We believe in the purpose of public higher education and in UMass Boston’s particular urban mission. Our intent in examining our campus’s financial status is to identify appropriate solutions that allow UMass Boston to continue to thrive and pursue its main function of providing an excellent and affordable public university education to the people of Greater Boston. The campus administration is currently seeking its own solutions to the “crisis,” solutions which so far have taken the form of cutting services and jobs at UMB—eliminating nontenure track faculty jobs, laying off custodians, freezing replacements of staff who leave, reducing paid graduate assistantships (which make graduate studies possible for many working class students), raising the campus’s student-to-faculty ratio, closing (or potentially privatizing) the campus’s Early Learning Center, and reducing shuttle services for students and employees to get to and from the campus. While these steps have saved the campus some money, shaving perhaps $5 million from the reported $30 million deficit, they do not provide a road map for how to ensure that UMB’s mission is preserved. Our aim is to provide such a road map.